Nature's Healing Remedies Searching the World for Remedies that Work! Welcome to Nature's Healing Remedies. We are dedicated to bringing you the best natural remedies and formulations the world has to offer. We stand by our company motto, "SEARCHING THE WORLD FOR REMEDIES THAT WORK!" 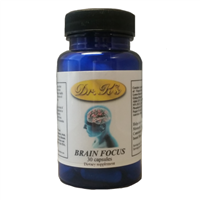 All of the formulations have been clinically tested by Dr. L. Thomas Kolodziej and utilized by his patients for over a quarter of a century. Our products have been formulated to exacting standards in order to SET the standard for quality products. We ship world-wide and have many testimonials as to the effectiveness of our products. Try them and you won't be disappointed. We follow nature's lead and combine cutting edge research with ancient herbal wisdom to bring you scientifically based wholistic products that really, really work. We don't let our egos get in the way of helping our clients. If another company has a product that we find also really works, we strive to make that product available for the better health of our clients. We believe that if it works, it works and it needs to be made available for the better health of everybody! We do the work for you so you can regain, attain or maintain your health. Here's to Your Health! Copyright © Nature's Healing Remedies, LLC. All Rights Reserved.